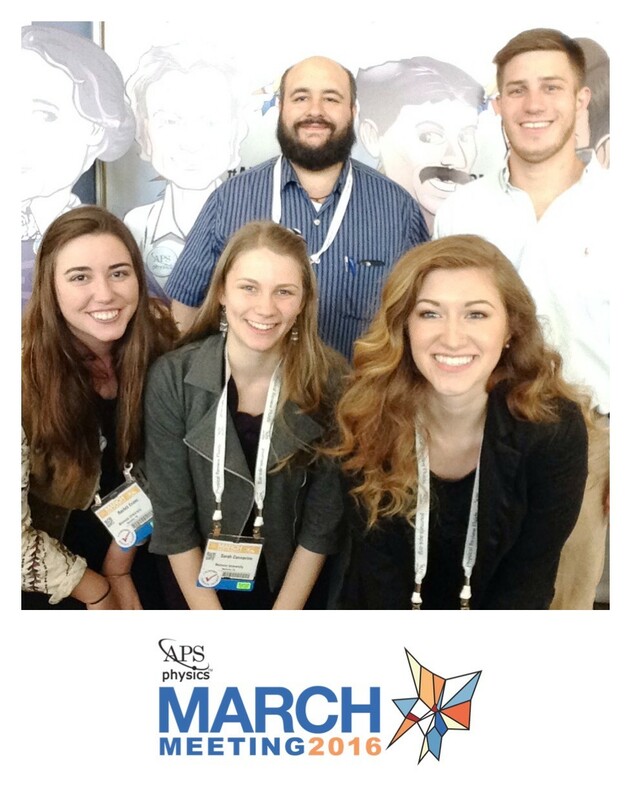 Belmont students Rachel Evans (physics), Sarah Cannavino (chemistry), Christy King (chemistry) and Matt Wing (medical physics) recently attended the American Physical Society (APS) March meeting in Baltimore, Maryland. Dr. Davon Ferrara, physics, also attended the conference. The APS March meeting is the largest international meeting of physicists in the world. The meeting brings together nearly 10,000 physicists, scientists and students to share groundbreaking research from the industry, universities and major labs.